Hillary Rodham Clinton and her daughter Chelsea Clinton called for a global strategy to protect wildlife and an end to the demand for trafficked wildlife goods in an op-ed published in the Financial Times on Monday). The piece demands a complete ban of the ivory trade globally, and commends the recent move toward total bans in the U.S.
"An estimated 35,000 elephants and more than 1,000 rhinos were killed last year alone. At this rate we are on a path towards the extinction of both elephants and rhinos on the African continent," the Clintons wrote. Both Clintons are known for their work to end the ivory trade with the Clinton Global Initiative. The duo stressed that consumers lie at the heart of the problem -- and said that a global ban on the ivory trade could help solve this. "Financial institutions should help to trace illegal transactions, freeze assets and impound ill-gotten gains from illegal trafficking." 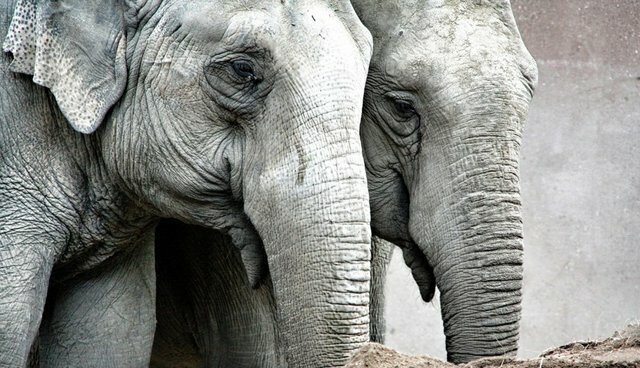 They added, "Only by working together can we beat this crisis, break the nexus between trafficking and terrorism, and make sure these incredible creatures will roam the earth for generations to come."